As part of my research into the Quran, this was one of the biggest problems I ran into. The story of Dhul Qarnayn has so many issues. I spent days reading and reading everything I could find on this topic until I came to the conclusion that this story is not from God. 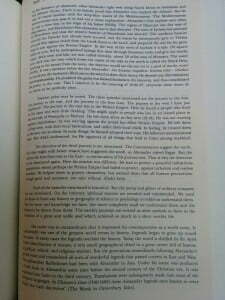 At the end of this post I have links for further reading as there is a lot more detail than I put here. Note: if you prefer videos to reading, check out Videos on Dhul Qarnayn, otherwise, read on! The story of Dhul Qarnayn is a fantastical story of a man who travelled to the East and West, and trapped the nation of Gog and Magog between mountains. Was Dhul Qarnayn Alexander the Great? There is lots of evidence that he was due to the startling similarity of the stories as well as the common folklore about Alexander. Even if he wasn’t, there are many other issues with the actual content of this story that need to be addressed. These people are constantly digging from this trapped location until Allah allows them to escape and they will wreak havoc on humanity. Could it be an analogy? The Quran has many stories in it. Infact one of the claims of its miraculous nature is that it contains many stories that Prophet Muhammad could not have known. It is said that God himself told him these stories. No. It makes it crystal clear in these verses that this is not the case. Is Dhul Qarnayn Alexander the Great? For the longest time, classical scholars said that Dhul Qarnayn was Alexander the Great. Many early tafaseer make this claim as well (Fakhr al-Din al-Razi , Tafsir al-Jalalayn for example). 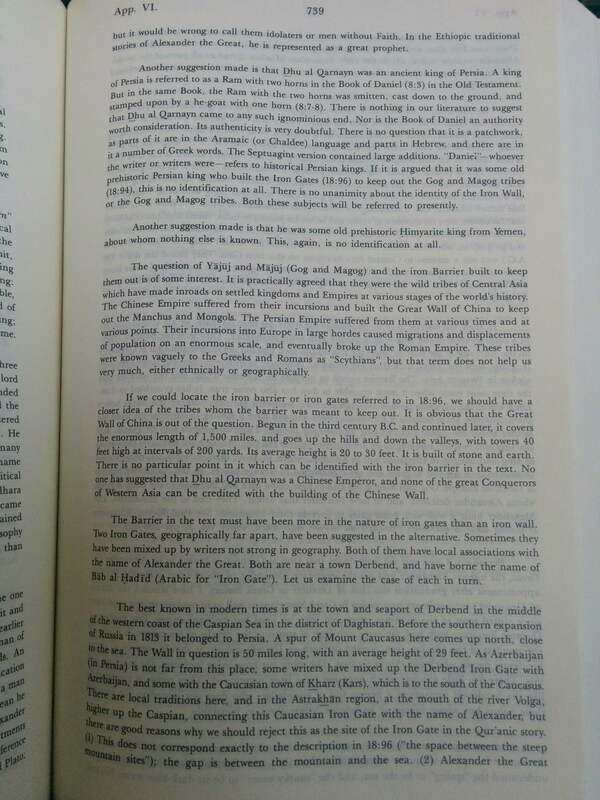 Also there are references to Dhul Qarnayn being in pre-islamic poetry found in Ibn Ishaq’s seerah. At this point in time (early Islamic history) there was no problem in making this connection, because it was not known that Alexander the Great was a pagan polytheist. Only recently due to the discovery of historic documents (as compared to the romantic or fantastical stories of Alexander) we now know that Alexander the Great was a pagan and he was not a monotheist. This means that due to new historic evidence, Dhul Qarnayn cannot be Alexander the Great, or otherwise the Quran would be wrong, or history is wrong. This is why most modern scholars now want to say that Dhul Qarnayn was not Alexander the Great. Yasir Qadhi also mentions this, along with many others. Alexander the Great goes to the place of sun set at the other edge of the Earth and he discovers that the sun goes into the fetid dark murky sea. So now we have a problem. We are faced with two possibilities. 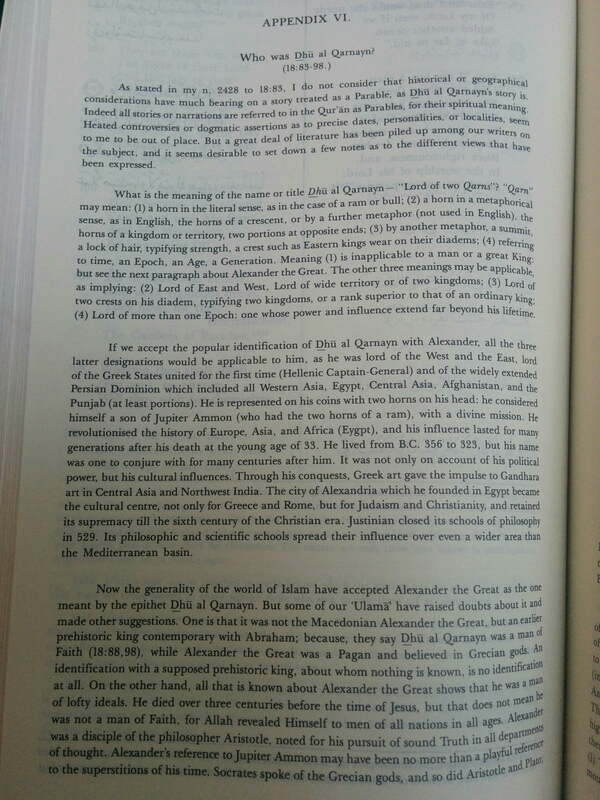 Either the Syriac Alexander Romance was influenced by the Quran, or the Quran was influenced by the Alexander Romance. Which one is it? This is our first doubt. Both of the stories are dated to the same time period so we cannot rule out either possibility. Secondly, the content itself of the story does not seem to be realistic. How can an entire nation of people be trapped between two mountains? The Alexander Romance describes a flat earth surrounded by a murky sea. Also, the sun setting into the sea is a problem unto itself. Historical references to this story indicate it was understood literally in Tafsir by scholars of Arabic and Quran. Not to mention the use of the language in describing this event. We know for a fact that Dhul Qarnayn was known to the people at the time, based on the fact that they came to ask Prophet Muhammad about him. The title “The Two-Horned’ was at least familiar to the Jews. This is evident from the fact they had instigated the Meccan unbelievers to ask the Prophet about him. One must, therefore, inevitably turn to Jewish literature or oral traditions from the time of Muhammed to find out who this person was or to establish what was the kingdom known as ‘The Two-Horned.’ This simple statement really limits the scope of who Dhul Qarnayn might be. In the romance, Alexander the Great travels to the edges of the flat earth, and he finds the place where the sun rises. Where the sun rises, the people have no shade, and they have to hide and run when it comes up. He also goes to where the sun sets into the fetid sea. They believed that the Earth was surrounded by a sea which was fetid (dark, dirty). This fetid sea nobody could approach or could die. Around the sea were mountains. The story of trapping Gog and Magog between the mountains makes a lot of sense if you believe the world is flat, and that it is possible to trap Gog & Magog between mountains and the fetid sea. 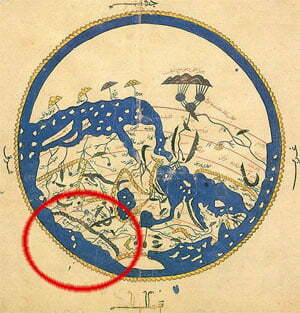 Al-Idrisi’s World Map with Gog and Magog behind the wall and circled in red. Note, this map is oriented to the south so here Gog and Magog are in the proximity of China. It would have been possible to make such claims back in the 7th century, when humanity had not actually traversed the Earth and while many nations did not know what lay beyond their borders. Now, it is very difficult. Even though humans have not searched every inch of the Earth, we do have a pretty good idea. Why can we not find such a gigantic gate? Some Muslims have theorized that Gog and Magog may be living under the Earth according to the “Hollow Earth Theory“. The idea that there are humans living inside the crust of the Earth shows the desperation of Muslims trying to make sense out of a story that makes no sense. Some people say they are the mongolians or the Huns.. Some people say they are another race like humans but unlike humans? The hadith literature gives some hints that they may be humans, or some sort of human creatures, but that point is not really important to our discussion. They are however mentioned in the hadith literature. Apparently they are still trapped behind this gate and mountain and are trying to scratch their way out of it. So far they have not succeeded. This gate or dam must be really enourmous, as its trapping an entire race or civilization or creation of God. Yet nobody has ever seen this gate that has kept these creatures out.. Infact Umar sent an expedition to find this gate as recorded in Ibn Kathir and by the muslim georgraph Yaqut al-Hamawi, and of course they did not find any giant gate trapping an entire nation between two mountains. Apologists now will claim that the fact we cannot find this gate means its a secret of the Quran. This is another major problem, are we to take this story completely on faith? Do we have to believe that God hid this entire nation somewhere out of plain sight? When people mention that we are still finding undiscovered native tribes in the forests, these are small tribes with a handful of people, completely different story from Gog & Magog who will number 999 of 1000 people on Earth at some point. In conclusion, Alexander the Great and Dhul Qarnayn are one and the same person based on multiple evidences and parallels between the stories. Historical documents have shown that Alexander the Great was not a monotheist and was a pagan worshipper. At the time Alexander was portrayed as many things including a monotheist, which the Quran decided to portray him as. The Quran does not include the historical facts about Alexander rather includes the mythical version of his story which is based on fantasy rather than truth. If we choose to discount history and instead accept the Quran and ignore the strong connection between Alexander the Great and Dhul Qarnayn, we still have a problem to solve regarding the content of the story not making logical sense. Thus, it appears that the Quran is not the word of God but rather the work of a man in the 7th century. Alexander the Great in the Quran (Wikipedia) – fascinating read that gives lots of historical details as to why it seems that Alexander the Great is the same as Dhul Qarnayn. For the longest time, classical scholars said that Dhul Qarnayn was Alexander the Great. Only recently due to the discovery of historic documents (as compared to the romantic or fantastical stories of Alexander) we now know that Alexander the Great was a pagan and he was not a monotheist. So everybody from Mo’s time thought that Dhul Q was Alexander The Great, and that is how Mo got to know the story. There is also some piece of evidence like coins in Arabia (at that time) with picture of Alexander with horn on his head. Alexander is definitely Dhul Q. Now we know that Alexander The Great was a pagan and not monotheist, and the mythical Alexander is quite different from the real, historical Alexander. Why would the Quran tell us a story that is blatantly false? Unless of course, the Quran was actually composed by an Arab merchant using all the knowledge that he got from that time. It would explain why he made that mistake. He was just following the mythology of that time! Oh, my dear lost and confused soul. In one of your first statements, you mentioned that the possibility of dhulqarnayn being Alexander was suggested by SCHOLARS, not the prophet. And in your latter, you are declaring the Quran telling false stories through comparing it with just the suggestion you claim you got from scholars. There seems to be some confusion – the purpose of this story in the Quran is that the Jews of Madinah put out this story as a challenge question to the Prophet Muhammad PBUH. Which means they knew Makkans had no chance to know of about DQ. So unless there’s some historical evidence that Muhammad PBUH got in contact with some story teller in the 15-20 days after which he recited this part of the Quran, the argument, IMHO, that, since ppl after the messenger thought DQ was Alexander, the Quran is mistaken, does not hold up to rationality. Which means Ibn Ishaq (almost a century after death of the Prophet PBUH) thought that it was ATG, and not the Prophet PBUH himself! And hence there’s nothing to argue about this issue of DQ being ATG. This explains why Jews might have come up with the challenge question at the first place. Hope that clarifies the matter a bit. Where is this fabled land that has an iron gate between two mountains? Does the quran or any hadiths provide the location for such a thing? At least in my limited knowledge, there are not much details about the land where the nation of Gog & Magog currently are. There have been some interpretations (and I repeat, INTERPRETATIONS, and not literal narrations from the Prophet Muhammad Peace be Upon Him) that they are somewhere near Chinese / Mongolian region. In due course of time, humanity will definitely get to know where Gogs will come from, however, what seems to be the argument here is the truthfulness of the Quran. 1) Who’d accept the Quran to be a true book, which provides guidance to the humble, who by their intellectual reflections have come to the natural understanding that there HAS to be something beyond our imagination – the UNSEEN. 2) Those who’ll reject the Quran, no matter what arguments are presented to them. 3) Those who’d outwardly appear to accept it, but would not accept it by heart. If we humble ourselves down, it makes sense that if we can easily understand 90% of the Quran’s teachings to be correct, and 10% are not (yet) clear to us, then the 100% of the Quran must be correct. The problem comes when we start arguing on the 10% unclear things just to prove the Quran wrong, we make a grave mistake. Cuz then we stop even trying to understand the basic Islamic concepts such as the Day of Judgement, and thus we keep committing wrong-doings (or in religious terms: sins). This attitude won’t help any1, but would definitely put ourselves in trouble, right after our eyes close for the final time. Just to be clear, there are numerous facts mentioned in the Quran, which were earlier thought to be scrupulous, but today they are established facts of life. The Romance of Alexander (Pseudo-Callisthenes) says the mountain was in Afghanistan. There are now super highways going through the region, so a ‘gate’ is not needed to stop anyone. Well I disagree that the Arab non-jews did not know about DQ. We know clearly that ATG was about to conquer Arabia before he died and word about him must have spread at the time. He died over 300 years before Christ which means that 100’s of years had passed before Muhammad’s prophethood. It is due to this passage of time that the Jews may have thought Muhammad did not know of Alexander the Great. We however know that Muhammad travelled extensively with Abu Taking and was also a merchant. This meant a huge possibility of interacting with other people who may have discussed about DQ/ATG. There’s nothing miraculous about the story. Muslims like to emphasize the fact that Muhammad was in a cave and an illiterate so couldn’t fabricate stuff but they forgot that he was well travelled and a merchant meaning that he met lots of people to share information with. And the whole point is: DQ might not have been ATG. Cuz the description of DQ in Quran and Sunnah doesn’t fit onto ATG. And ATG was not of significant importance to the jews, so why would they ask Muhammad about ATG? Indications are towards Cyrus, but not for sure…. The “Song of Alexander”, composed in Syriac a few years before the Arab conquest of Syria sometime between 630 and 636 AD. The Syriac apocalypse, “De Fine Munid” composed between 640 CE and 683 CE and the “Apocalypse of Pseudo-Methodius” composed around 692 AD. If Caliph abd al Malik collected the Koran around 690-695AD as he claims in a letter, then there is no problem in finding the source of Koran 18. 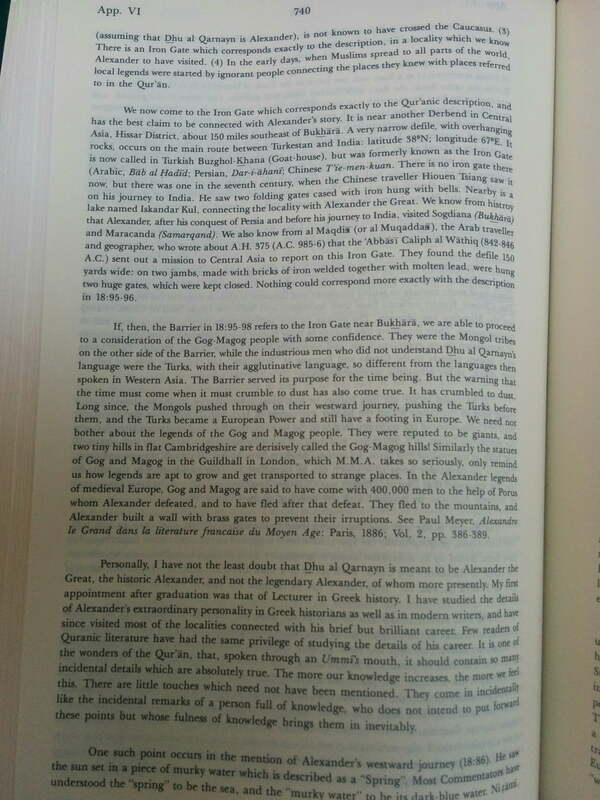 There were at the time Greek, Latin, Armenian and Syriac texts of Pseudo-Callisthenes. so how should i regard this story about Dhul Qarnayn in Qur’an? as a true story or as a fiction ? because he explained that this DQ story is an answer for the jews that test Muhammad . so if this story is irrational its okay because its just an answer for the jews. The story is of course true. If we can’t see Gog Magog today, that doesn’t mean they don’t exist – otherwise we’d have to believe Atoms didn’t exist before humanity discovered em. What adds to the truthfulness of the Quran is that Jews had put this question to Muhammad, because they knew the Arabs of Makkah had no way to know about this story. But should we debate on truthfulness of Quran based on ONE story mentioned in it (which is not yet clear to humanity), while ignore the 1000s of other facts mentioned in the Quran? 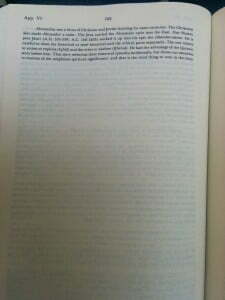 http://sunnahonline.com/ilm/quran/qms.pdf Shows a list of scientific facts mentioned in Quran, and their modern understanding. Quran DOES mention many things (that it describes as MUTASHABIHAT (loosely translated to as ‘grey areas’) that are not known to us now, but later humans might know better about em. So they maybe debatable today but an established fact tomorrow. It also tells that ppl Of bad hearts would always use the mutashabihat to make ppl astray (Quran 3:7). Yusuf Ali who translated the Koran into English (see text above) considered this story ‘a parable’, but WHAT POSSIBLE BENEFIT is found in this retelling of Pseudo-Callisthenes? We are told in the Koran that it was a challenge to test whether Mohammed was a true prophet. The story of Dhul Qarnayn is bad plagiarism and that is clear from the many elements in Koran 18 that come straight out of Pseudo-Callisthenes. Your conclusions appear hasty. I guess there was not much directly relevant readily available material over the internet for what was disturbing you but now it has come straight to you. 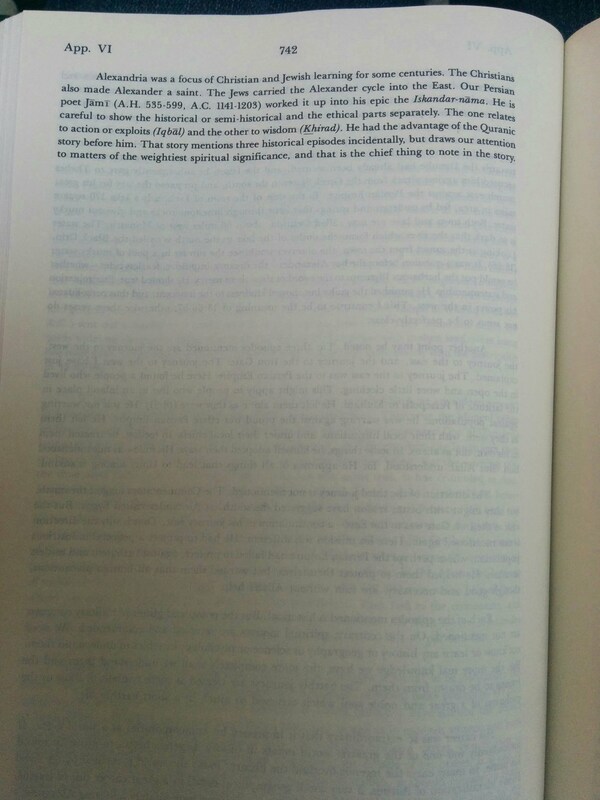 You may Ctrl+F for key areas but I would insist you read them in full. Email me anytime (adeeltkhan@gmail.com) and I would love to discuss any matter with you. I see you may have some doubts about Ya’juj and Ma’juj as well; I have a draft paper that should satisfy your doubt if you continue to stay open minded and can share it with you before publishing it. Brother Adeel, The view you bring forward on this blog is that Yajuj and Majuj have already broke through the barrier, attacked the Muslims, and now they are waiting for their final onslaught. If we ask, who are these people, you say they might have been the Mongols. So that means the Mongols are hiding and waiting to give their final onslaught? Also, if we accept the hadith, there is going to be 999 Mongols for every non-Mongol on earth (ref: http://sunnah.com/urn/44200)? … and we continue to argue on the Mutashabihat (Quranic topics that are not yet clear to us) and continue to ignore the rest of the Quran. Welcome to Satan’s beautiful intellectual trap! the whole premise is do not ask any questions. just ask why you are asking questions. end of story. and some seeking of some knowledge! good for mr nouman! and of course do him a favour and spare him the embarrassment! Good for brother Noman to explain that there r always useless questions that ppl with wrong intentions get stuck into and lose the right path! Bad for those who deny the hereafter, and save the embarrassment for then! Leave all the clear evidences of Quran being a miraculous speach of Allah, and indulge into the mutashabihat. Exactly the description of the ppl that Quran talks about in Aal e Imran, ayah 7! “The argument here is the truthfulness of the Quran”. Exactly. The Quran is untrue, as can be seen by this story of an unbelievably massive gate strung between two mountains. Mountains are sizable landmarks, and this gate would be even more so. It would be one of the largest man-made objects created in pre-modern times. Great blog btw. Love the discussion. Why do you let your imagination get the best of you? Where is there any mention of a HUGE gate between two HUGE mountains and there not being another way out? How do you know that Gog and Magog were not cave dwellers and there was a small opening in a cave from where they came out of and Dhul Qurnain didn’t use a whole lot of iron to close the mouth of the cave? I don’t know the answer either nor was the point of the story to discover this mysterious gate or associate a historical figure to the account. It’s not my imagination. Doesn’t the actual verses say it was built between two mountains? Also you need Dhul Qarnayn who was the leader of the world because he alone had the resources and manpower to do this. If it was just a simple gate on a cave couldn’t the people do it themselves? Btw There aren’t two stories of dwellers of the cave, just one.. Surely Allah could have said “Kahf” if thats what it means. Did you see the related hadith on this topic? Gog and Magog will drink the sea of Galilee dry,.. Muslims will burn the bows and arrows 7 years for firewood. That there will be 999 of them for every human in hell. For us today, a huge gate to be a barrier between huge mountains is obviously useless, since any invader may now use ships and airplanes and trains and highways. The story in K.18 is obviously false IN ITS ENTIRETY. 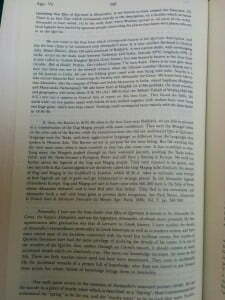 Assuming that the Jews of Medina craftily wanted to test Mohammed about the legend of Alexander (I say ‘legend’ referring to Pseudo-Callisthenes) they did a very good job indeed, because Mohammed’s vanity could not resist the challenge, and Mohammed went recklessly ahead inventing a fanciful version of Alexander in which Alexander became a Muslim! The Jews of Medina exposed Mohammed’s fraud better than they knew. Mohammed fell straight into the trap and exposed his monumental ignorance of geography, history, cosmology and literature in general, thus revealing the fraudulence of his claim to prophethood. Mohammed assumed that the Romance of Alexander was real history, not realizing it was legends and then he compounded the legends by building his own legends on top of legends! What a great fool Mohammed was. The story of Alexander the Great reminds me of the Catholic Christians disposing of the concept of Limbo for young children. One thing was held as incontrovertibly true by the finest theologian minds for centuries upon centuries upon centuries….then when the truth is exposed, the past is brushed away like rubbish, as if billions hadn’t lived and died taking those utterly false truths on faith for generations. What of them? How can a ‘good’ religion teach a rubbish falsehood for more than a thousand years? What is the point of theologians if they cannot discern what the truth is? What is the name of the surat again ? = The cave ? right ? may be its not titled the cave just like this ? Don’t you think the wall is inside a cave ? an horizontal wall , not a vertical wall ? May be these creatures are underground ? Which part of it was convincing exactly? And what exactly do you want me to respond to? Scholars had a theory that it could be alexander the great.that theory was mostly based on the mention in the quran about the helmet which dhul qarnayn wore had two horns.so far we only know of two leaders who wore a two horned helmet.one is alexander the great and the other is cyrus the great.there could be more we dont know. These were the theories put forward by some scholars.it does not mean that the quran is wrong. 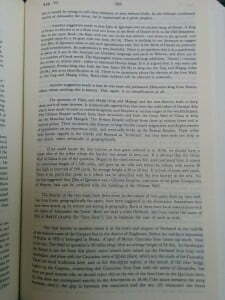 Koran 18 is an obvious plagiarism of Pseudo-Callisthenes. So let me get this straight… Your main reason/trigger to not believe in the Quran was the story of Dhulkarnayn, and your videos consistently have arguments that the Quran copies other stories/books/myths/knowledge, yet you ignored the ACTUAL REASON (asbub al-nuzul) of why the story of Dhulkarnayn was sent down. You know, it was sent down when some knowledgeable Jews asked Muhammad pbuh a random esoteric story AS A CHALLENGE, in which they wanted to disprove that Muhammad pbuh who was illiterate, only copied and retold old stories/books/myths/knowledge, and it was only after Muhammad pbuh admitted he didn’t know about the story, the verse was revealed, and the thus disproving the Jews of 1400 years ago. Yet here you are using the same old argument. This irony is amusing. May God guide you again to the straight path, the path of those upon whom God has bestowed favor, not of those who have evoked His anger or of those who are astray. And please advice, don’t continue to speak into YouTube or whatever your echo chamber is, go speak to and challenge real high level scholars. (Oh, and PS. speaking about science, even science posits a possibility of 5-dimensional beings (or higher), you know, that can manipulate things in the lower dimensions, like in the movie Interstellar. Can we see higher than the 3rd dimension right now? No. Then that’s why you can’t see the unseen, including jinns, and consequently God. Humanity aren’t even clsoe to a Type I Civilization right now, and your asking for evidence that a basically requires a Type IV Civilization. That’s some Iblis-level arrogance right there. Sorry for the grammer. Tuohgh I wnot bhoter to fix the gmraamr as you can sitll unedrtasnd me aaynwy. So what’s your point. It seems you wanted to say the prophet’s view was different from that of dq, but, if you read more to understand than argue, you will find that DQ, never explained how the sun set, where or when, it only says, ‘there where the sun set ‘ ,so only the prophet did and there is no way both are having different views. I read the two versions of the Alexander Romances, Armenian and Syriac. Syriac version is said to be dated from seven to ninth century, translated from an Arabic version of Greek text by an Arab priest whose native language was not Syriac. This version has a similar story found in the Quran. 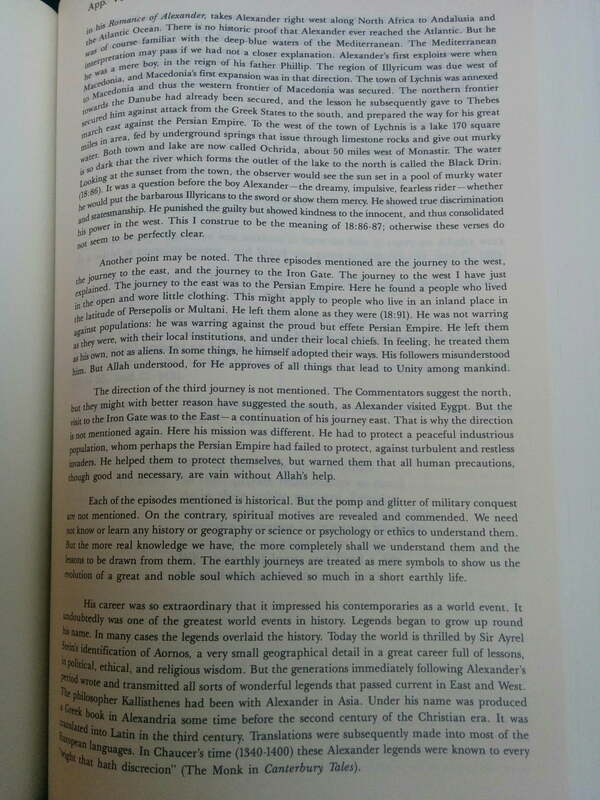 The earlier, Armenian version, dated to ~350 AD, does not have the story if I did not miss it (did not finish all). I did not read the other versions, but read their scope/content summary given in the Syriac version. Same conclusion: Alexander Story is primarily told in the Syriac version. Have you thought about why the earlier version of the Alexander Romances does not have the story? It is an important question, certainly worth pondering about. 1. Syriac version plagiarize from the Quran and Muslims. I am not expert at dating such texts, but even the translator seems to think that it is from a later period. Strictly speaking, he did not exclude 600-632, but probabilistically speaking, the chances high that it is after the Quranic event. 2. 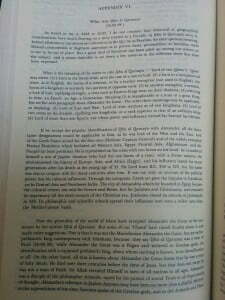 There were stories originating from the deeds of Cyrus in Arabia at the time of Syriac version being written and those stories got incorporated. It is likely that Jews asked the question to Muhammad regarding DQ. If this is true, then his association to Cyrus is probably more accurate. Cyrus is a known and beloved character to them. Alexander is much less so. Given that this was a test for Muhammad, this knowledge shouldn’t be well-known. The certain deeds of Cyrus, being an esoteric knowledge that was known by them but not widely available, were much more likely to be asked by the Jews. Why would they ask about Alexander? Of course, this does not explain where the gate is or these are not the only possible explanations. But, they just provide plausible explanations why the Quranic story has resemblance to the Syriac version of the Alexander Romances. In my mind, they are much more plausible than some others. Dhul Qarnayn can’t be Alexander since Alexander only traveled from Greece to India and then turned back. The only king whose actions come closer to Dhul Qarnayn is the Persian king Cyrus who in fact traveled in all the three directions that Dhul Qarnayn traveled in. I have done a report on this so if you are interested, I will send you a copy. Jews revered Cyrus and he is mentioned in the Old Testament. Jews knew about Cyrus and that’s why instigated the Kaffar to ask Muhammad (pbuh) about him. Brother, I see a problem with your analytical thinking based upon this post and the abrogation post. You rely on what the Islamic scholars have written wrong or interpreted wrong and then you blame that on the Quran. My suggestion to you is to think for yourself instead of relying on faulty interpretions of Quran. May Allah guide you. A’meen.